Daniel “Dr. Dan” Parker is a master craftsman with 42 years experience in the musical instrument repair trade. His clients include top professional musicians from around the world, and eight years ago he founded and continues to run CIOMIT, the Colorado Institute of Musical Instrument Technology. It’s a professional trade school which offers classes online and in-person in Colorado. 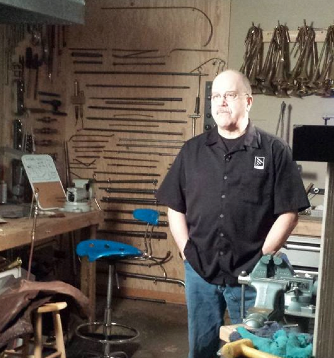 Dan’s students leave with a highly sought-after skill that can serve them for a lifetime. 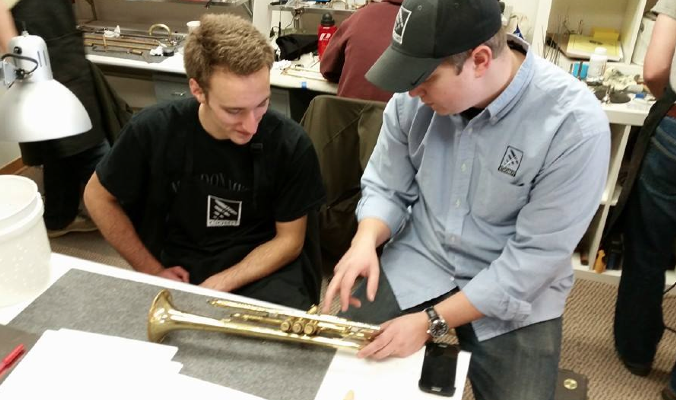 Dan said that CIOMIT focuses on training for repair of brass, woodwind, strings, and percussion. This includes oboe, bassoon, clarinet, saxophone, trumpet, trombone, flute, guitar, violin, and more. He’s noted that technology is causing huge changes: “In the past few years, with CNC becoming a commonly used method in instrument making, I’ve seen some tremendous opportunities to make use of the technology in repair and in production,” said Dan. The other opportunity afforded to Dan by growing adoption of CNC was in making and selling instrument accessories. 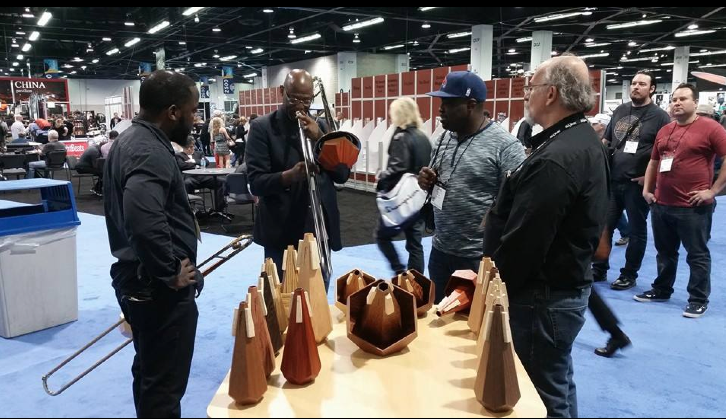 In early 2014, Dan purchased a company called Facet Mutes, Inc., which designs and manufactures high quality mutes from fine woods, for trumpet, trombone and French horns. Some of the woods that are used are walnut, black limba (also known as corina), African rosewood, Spanish cedar, Sitka spruce, maple, wenge and lacewood. In order to produce these mutes more efficiently and in preparation for selling them internationally, last November Dan made a purchase of a used ShopBot 5-axis CNC router. To give you a sense of how these mutes look, and affect sound, here’s some video made by Facet Mutes artist Chad McCullough playing trumpet with various Facet Mutes. (If you don’t see the video below, you may need to click the link and watch it on Facebook). Post by Facet Mutes Inc.
“Bubinga” Trumpet Straight Mute. Great bright tone for the play it louder, higher faster type of trumpet players. Also known as an African Rosewood. “CJP” This is the Orbert Davis Signature, Chicago Jazz Philharmonic Trumpet Cup Mute. Walnut and Padauk wood combination. Tonal qualities are warm and full bodied with a nice staccato on the higher notes. 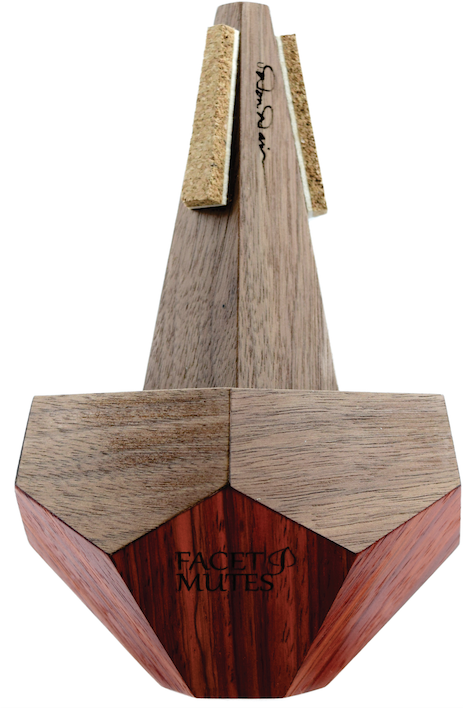 You can learn more about Facet Mutes here, and about Dan’s CIOMIT school here. Find out more about ShopBot’s 5-axis CNC here.